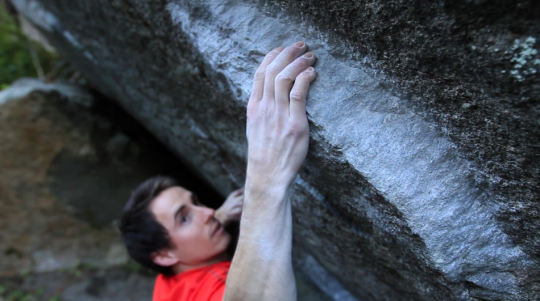 It’s been a busy few months on the boulders of Ticino, Switzerland and it’s been equally busy for me not on the boulders of Ticino, Switzerland which has put me a bit behind on posting news about a busy few months on the boulders of Ticino, Switzerland. Let’s play some catch-up, shall we? You’ve had dreams about this problem without ever seeing it. It’s that good. Check out his recap posts for many more pictures of the amazing climbing in Switzerland. Nalle Hukkataival also had a productive trip to Switzerland, nabbing the FA on a couple of noteworthy lines. a tall overhang with explosive and powerful moves and very few footholds. It has one of the most amazing sequences I can think of! So simple, yet so intricate. The boulder itself is so big that getting back down can be tricky. 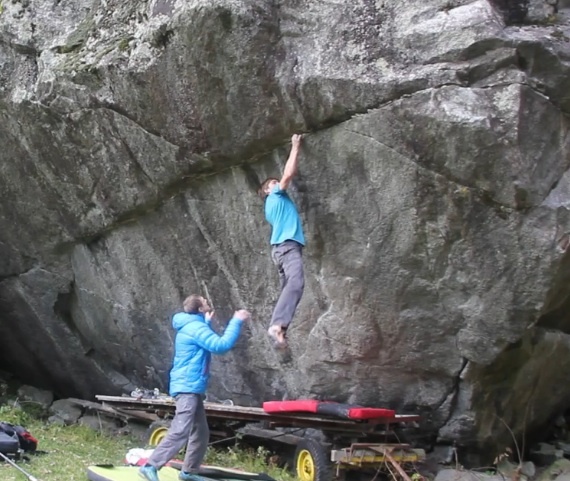 Hukkataival suggested V15 for the problem, but as is often the case these days, grading FAs are a tricky business. After finishing Momentum, Hukkataival turned his attention to likely the most famous project in Switzerland: the wagon project. Made famous in Dosage 4 by having the hands of Chris Sharma touch it, this problem revolves around a brutally difficult, short sequence that seems to involve a mandatory campus rose move. Hukkataival was able to piece this short problem together calling it Off The Wagon and suggesting a grade of V15 for this one as well. In the repeat department, Hukkataival made quick work of Traversi’s new problem Heritage confirming both its difficulty and its quality, and in addition he repeated Dave Graham’s From Dirt Grows The Flowers (V15) via the original, straight up method. Last we checked in with Dai Koyamada he had just finished the left variation to From Dirt Grows Flowers, and as expected he was not done sending either. Koyamada did the second ascent of Martin Keller’s Der mit dem Fels tanzt (V15) at Chironico, repeated Fred Nicole’s Sur le fil (V14) at Wassen and he did the FA of Insanity Of Grandeur (V15) which adds a low start to the V13 Delusions Of Grandeur. Batting cleanup after all this was Germany’s Jan Hojer. 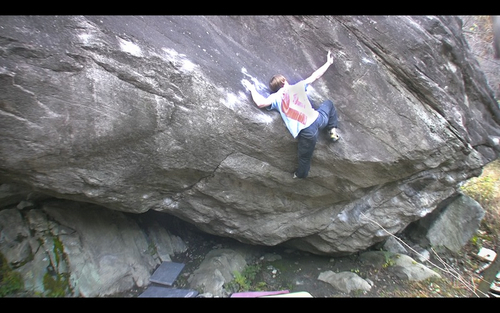 Hojer ripped through Switzerland much like he did through Rocklands this past summer. He made quick work of both of Hukkataival’s hardest new additions, suggesting downgrades to V14 for both Off The Wagon and Momentum. You can see footage of him flashing a couple other problems and repeating Off The Wagon by click the picture below. And finally, just the other day in Cresciano, Slovenia’s Jernej Kruder did the 4th ascent of Dave Graham’s The Story Of Two Worlds (V15). 3rd ascent of FDGTF direct? After DG and Ondra. Pretty sure Ondra did the Paul Robinson/Mickey Page left exit. Bernd Zangerl has also climbed FDGTW using the direct mantle finish. Jan Hojer is just ridiculous. The clip of him climbing Off The Wagon has to be one of the greatest displays of pure strength in a climbing film. Good call, sorry for the goof-up. So 4th ascent of the direct mantle finish then (positive that Zangerl got the 2nd ascent that way).